Summary: MIT researchers have identified a neural network that can stretch or compress its activity in order to generate a an action at a specific time. A new study from MIT researchers provides evidence for an alternative timekeeping system that relies on the neurons responsible for producing a specific action. Depending on the time interval required, these neurons compress or stretch out the steps they take to generate the behavior at a specific time. NeuroscienceNews.com image is credited to Christine Daniloff/MIT. Funding: The research was funded by the Rubicon Grant from the Netherlands Scientific Organization, the National Institutes of Health, the Sloan Foundation, the Klingenstein Foundation, the Simons Foundation, the Center for Sensorimotor Neural Engineering, and the McGovern Institute. Image Source: NeuroscienceNews.com image is credited to Christine Daniloff/MIT. 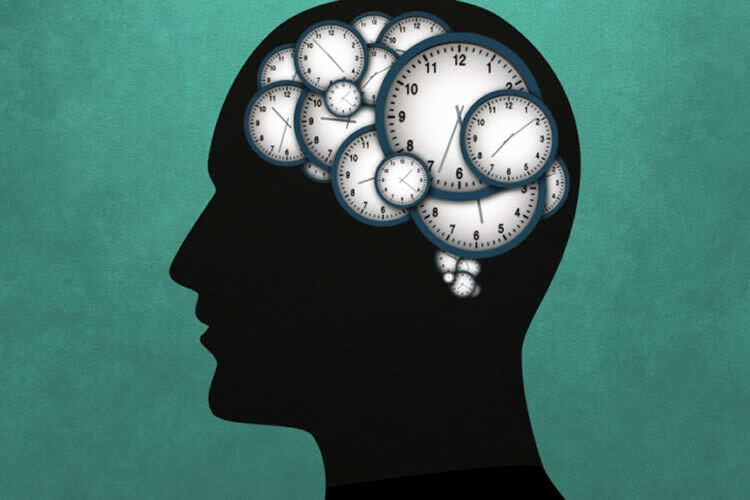 MIT “How the Brain Keeps Time.” NeuroscienceNews. NeuroscienceNews, 4 December 2017. MIT “How the Brain Keeps Time.” http://neurosciencenews.com/time-control-brain-8098/ (accessed December 4, 2017). Musicians can perform at different tempos, speakers can control the cadence of their speech, and children can flexibly vary their temporal expectations of events. To understand the neural basis of such flexibility, we recorded from the medial frontal cortex of nonhuman primates trained to produce different time intervals with different effectors. Neural responses were heterogeneous, nonlinear, and complex, and they exhibited a remarkable form of temporal invariance: firing rate profiles were temporally scaled to match the produced intervals. Recording from downstream neurons in the caudate and from thalamic neurons projecting to the medial frontal cortex indicated that this phenomenon originates within cortical networks. Recurrent neural network models trained to perform the task revealed that temporal scaling emerges from nonlinearities in the network and that the degree of scaling is controlled by the strength of external input. These findings demonstrate a simple and general mechanism for conferring temporal flexibility upon sensorimotor and cognitive functions.